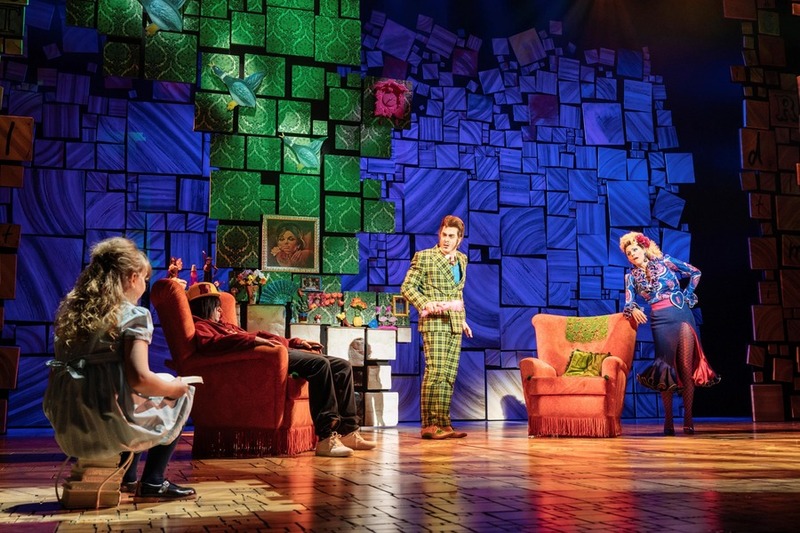 The Royal Shakespeare Company’s production of Matilda the Musical has now amassed more than 90 international awards since it first opened in Stratford in 2010, and now the musical (based on Roald Dahl's 1988 novel) is making its first UK tour. 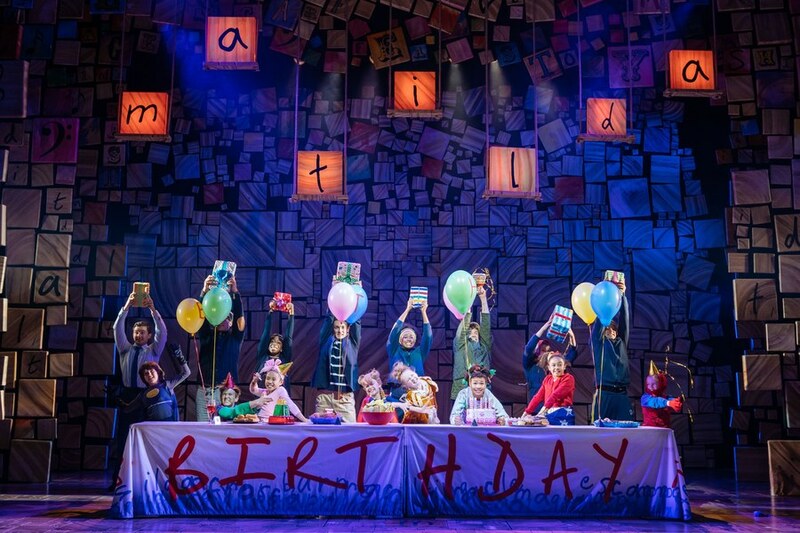 The production, developed and directed by Matthew Warchus, and with music and lyrics by Tim Minchin, tells the story of an extraordinary little girl with a voracious appetite for reading. Matilda, played with flawless talent and maturity by Scarlett Cecil, is a beacon of kindness in the face of much name-calling and neglect at the hand of her dishonest, selfish parents. She’s spirited, smart and prepared to be a little bit naughty when things aren’t right. She finds solace amongst the bookshelves of the local library, where her imagination and appetite for knowledge blossom. Meanwhile Matilda’s parents, Mr and Mrs Wormwood (played with charisma by Sebastien Torkia and Rebecca Thornhill), are a pair of neon, comic book creations who belittle and berate Matilda at every opportunity. By contrast, her brother is showered with complements as he sits transfixed in front of the glare of the TV screen. 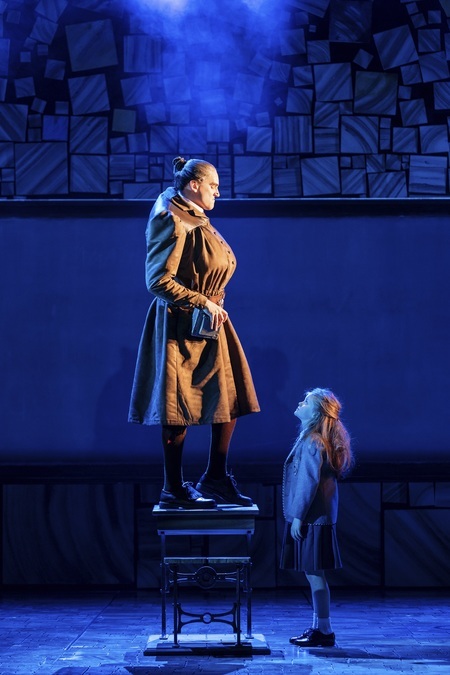 Rob Howell's set is a magnificent tower of books from one side of the stage up and over to the other, like a protective umbrella from the abuse Matilda faces at the hands of her parents and the magnificently mean Miss Trunchbull (Elliot Harper). Throughout the performance Howell’s set and the choreography by Peter Darling gel together seamlessly. The illuminating alphabet block scene at the school gates is particularly effective, as is the use of playground swings, letting the children soar out towards the audience during one of the production’s most memorable songs, When I Grow Up. The triumph of this production undoubtedly sits on the talented shoulders of its younger cast members, who radiate on stage beside Cecil. Passionate, professional, and energetic, this is an extraordinary group who embody the spirit of the story. 'Little maggots', sneers Miss Trunchbull; little magicians more like. Toby Mocrei, Ben Pike, Alfie Sanderson, Toby Hales, Lillie Downton, Aiya Augustin, Lily Van Veen and Darcy Kelly; bravo.